"Good value for the money, helpful staff." 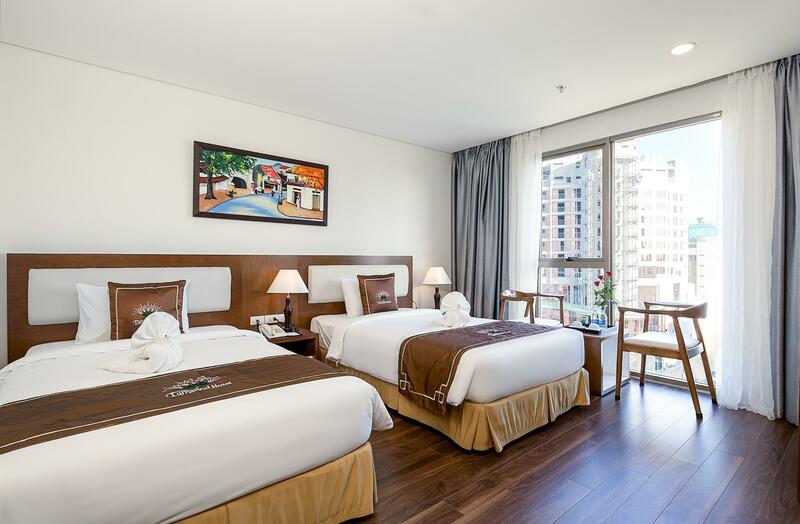 Have a question for Tamarind Hotel? "Great value for money, location is great, close to the beach, close to cheaper restaurants and good coffeeshops." "Staff was great and helpful." "Overall room is neat and clean." 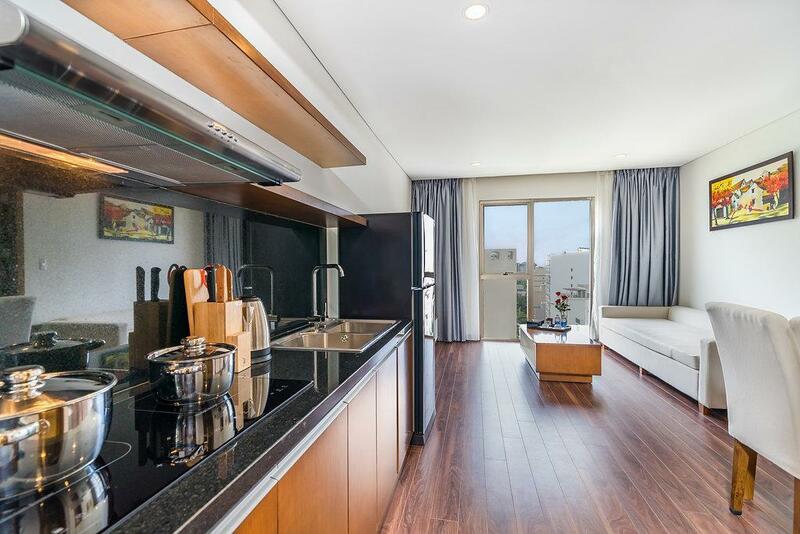 "I stayed in the apartment, and it was an excellent value for..."
For travelers who want to take in the sights and sounds of Da Nang, Tamarind Hotel is the perfect choice. From here, guests can make the most of all that the lively city has to offer. With its convenient location, the property offers easy access to the city's must-see destinations. 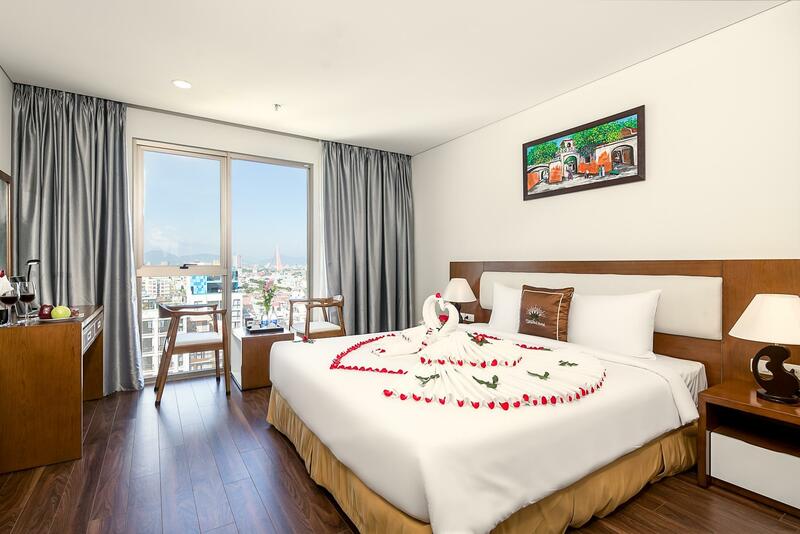 Tamarind Hotel offers many facilities to enrich your stay in Da Nang. 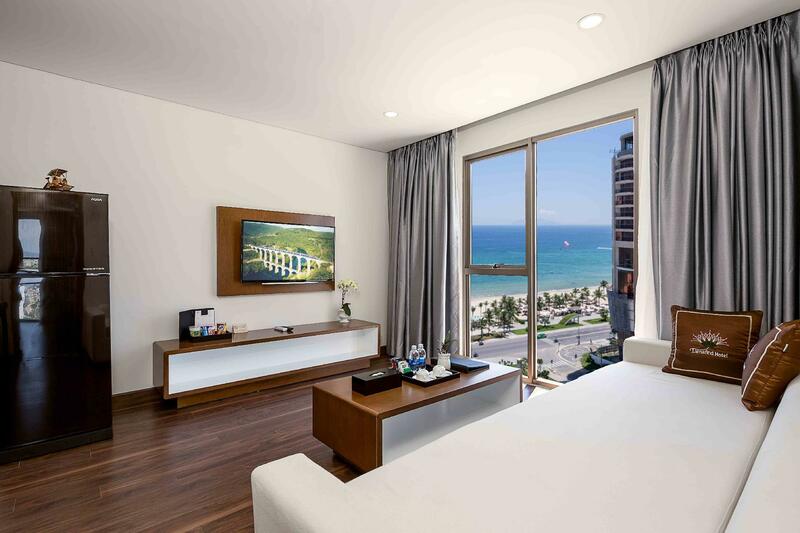 The property offers access to a vast array of services, including free Wi-Fi in all rooms, 24-hour security, daily housekeeping, taxi service, kitchen. 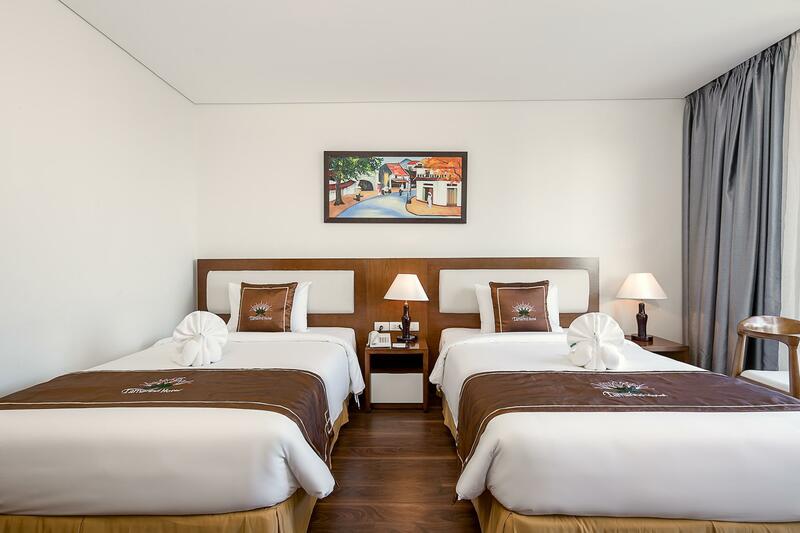 The ambiance of Tamarind Hotel is reflected in every guestroom. closet, towels, wooden/parqueted flooring, clothes rack, slippers are just some of the facilities that can be found throughout the property. The property's private beach, outdoor pool are ideal places to relax and unwind after a busy day. 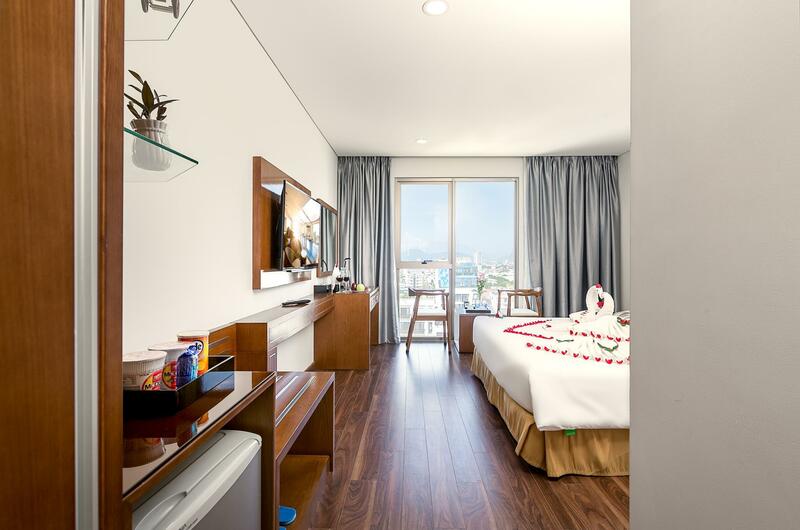 When you are looking for comfortable and convenient accommodation in Da Nang, make Tamarind Hotel your home away from home. Tucked away in a cup-de-sac about 5 mins walk from the beach and 3 minutes from good restaurants in the other. A quiet pool and bar roof terrace with inexpensive drinks. Decent breakfast. Ideal if you’re looking for somewhere to stay close to everything, without being too bothered what the immediate area outside the hotel looks like (a field waiting for the next building) . I’d consider staying here again. Super location close to the beach and close to a bustling strip with plenty of food options. Clean, quiet and modern. Fantastic rooftop pool. Breakfast buffet good. A few little detail letdowns such as a broken chair in my room, non functioning bedside light, slightly grotty hand towel and lack of local maps at check in. Th doormat in front of the main entrance door looked like it had been attacked by rats. The immediate environs on the undeveloped adjacent sites are full of rubbish and industrial waste. I’d go to this hotel again, just for the location. However there are lots and lots of other hotels in this area. It is a beautiful hotel with an amazing rooftop pool. Slightly odd surroundings directly outside the hotel as there are empty plots all around, but it doesnt affect anything other than your immediate impression. We booked the deluxe room with river view. No regret. The only gripe is the safe box is not drilled into the cupboard. It can be removed , so we didn't bother to keep anything there. The safe box on another hotel that we stayed at the beach is also the not fixed into the cupboard. I wondered if that is the trend ;) in Danang. Good room. Good breakfast. Good facilities -pool, gym and bar. Staff very helpful. The hotel itself is spot on. Outside is a bit mucky and the builders are in next door but that's the same all over town. Absolutely nothing to complain about. Great value for money, location is great, close to the beach, close to cheaper restaurants and good coffeeshops. Staff were outstanding, friendly and provided any help possible. Rooms were large, clean and well maintained. Amazing!! The staffs are super friendly and detail oriented, especially Lien (Hillary). She has taking good care of us and Tamarind Hotel will be our home whenever we are in Da Nang. We’ve stayed in four different hotels within our 2 1/2 weeks vacation and Tamarind Hotel is much better than some of the 5 stars properties that we stayed. - Building is very new - Nice view (sea and city) - Room is very clean - Staffs are very friendly and helpful (they helped me out to find taxi at the last minute to airport) - Breakfast is good (they rotate few dishes, and many still same) - Swimming pool is very good - Elevator is super fast (but please put sensor at the door to detect person) - Strongly recommend! Brand new hotel with low occupancy, marvellous swimming pool at the 15th floor (although access is hard to find at first because there is no signage and one has to take the emergency stairs up, and those with fear of height should stay away from the filigree handrail, also no shower), big and well-equipped rooms, breakfast buffet needs a few more inputs. Close to beach, restaurants, bars, convenience stores and taxi stands. The hotel is brand new. Staffs are extremely nice and helpful. I love the pool on the roof top. From there you can see the city of Danang and the beach, the mountain. Breakfast is basic with variety of Vietnamese dish and Western spreads, omelette... In general i’m happy with my choice and I’ll definitely be back again. Dear Sir/Madam, Thank you for taking the time to review our property, your comments are very much valued. We appreciate your comments regarding our customer service and ongoing upgrades. Our staff are trained to provide only the best in customer service, and we are pleased that you found value and hospitality during your stay. Our commitment to investing in our property will continue this winter with renovations to our banquet and convention areas. We look forward to seeing you on your next trip to Da Nang,Viet Nam! Thank you so much and Best Regards ! Super new and clean, amazing staff, excellent breakfast and great views from the rooftop pool. There is a lot of building going on in Da Nang at the moment but apart from the rubbish it doesn’t affect you when staying here. Hard to fault the place, this whole area of Da Nang is like a huge construction site, but apart from the rubbish out in the street it doesn’t affect the quality of the hotel. Staff are wonderful, the breakfast selection is massive and good quality. Would have given this place top marks except the builders have sloped the bathroom floor in the wrong direction and water runs towards the door! I stayed in the apartment, and it was an excellent value for the money. Friendly and helpful staff, good breakfast, comfortable bed. My only recommendation would be for them to install a separate shower as now water gets all over the floor and the bathroom is inconvenient to use afterwards. Overall however, a very good experience. We took a Grab car to the hotel from the airport and the Grab driver couldn't find the hotel. Not his fault since the hotel is new; so new that the hotel's name wasn't fix yet. Staff was great and helpful. Location is near to most attractions. You can find a Grab car within a minute from the hotel. Overall room is neat and clean. Nice and recommended. The price was very cheap and valuable. The hotel is more 3 star standard. Staff are very friendly and helpful. Just 2mins to the beach. Had many convenient store around there. A short walk to chu restaurant with nice foods and live music in the night. U should stay at this hotel coz it very new and clean than another hotel around there. Specially it so cheap and comfortable. Excellent staff. Newer hotel or recently remodel. Big rooms. Roof top pool that no one uses. Breakfast is included with price of the room. Seafood restaurants within 5 minute walk. if u dont spend many times in the hotel, better than any 5star hotels. The price was cheap, no huge negatives but the facilities were nothing to write home about. Will stay near the river next time.